To find out more about our Training and Membership Programs, please click here. Belinda and Ben Johnson have been involved in a high level of competition sport their entire lives. They share a passion to now help athletes achieve their sporting goals by sharing the knowledge, advice, guidance and support that they have accumulated between them over the years of training, competing and coaching. Belinda has been around sport her whole life. Growing up in Coffs Harbour, she spent the majority of her childhood training at the Coffs Harbour Olympic Pool surrounded by family who coached and swam alongside many professionals. From 1999-2001 Belinda was selected as a professional in the Kellogg’s Nutrigrain and Uncle Toby’s Ironwoman series and competed for many years. During this time Belinda worked full time while she competed against athletes who were training multiple times a day. 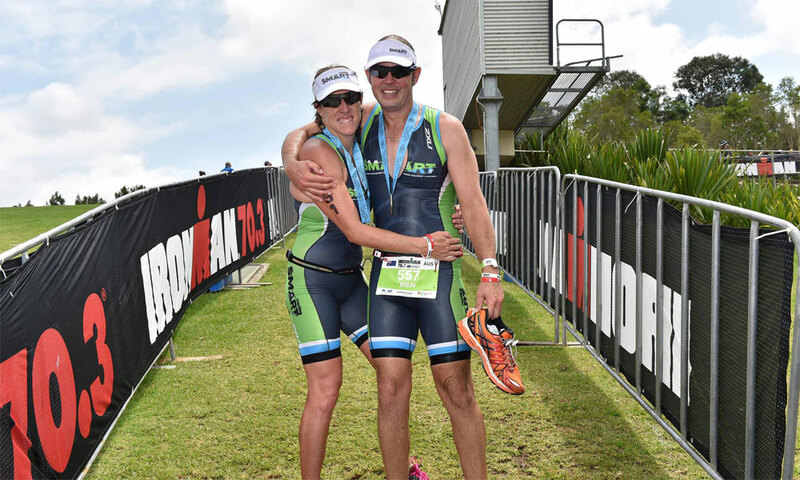 Belinda moved to Port Macquarie and found her new passion and challenge in triathlon and in 2009 she completed her first race. A major highlight for Belinda was in 2012 where she competed at the World Championships in New Zealand. Belinda came 1st in the 30-34 aquathon and 5th in the 30-34 Olympic distance Championships despite having just given birth to her son. 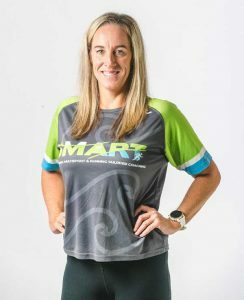 In 2013 an opportunity arose for Belinda to become a triathlon coach and in 2014 founded SMART Coaching, her own triathlon coaching and multisport business. The following year Belinda’s husband Ben Johnson joined the team. Belinda’s background as a remedial masseuse, coupled with her knowledge & experience in strength and conditioning, assists her to understand the anatomical needs of her athletes. Belinda tailors and personalises athletes’ training so that each of her clients maintain a healthy balance throughout their athletic journey. Belinda absolutely loves her career in triathlon and multisport coaching and thoroughly enjoys helping her athletes, from beginners to the elite, to achieve their goals. Ben has had a passion for sports his entire life. He began with soccer at a young age, gaining State and National Futsal titles. He then went on to Surf Life Saving where he trained like a professional athlete throughout his teenage years and competed at State and National level. Next was Outrigging where he was once again successful at achieving multiple State medals and a National medal in the OC6 category, while balancing his training with full time work. He found his true passion in triathlon 10 years ago and has been competing in sprint to IRONMAN distances ever since. Feeling he had something to offer the sport, he recently gained his level 1 Triathlon certification and has been coaching since 2014. Ben is now driven to pass on his lifetime of knowledge to help his athletes achieve things they never thought possible. Ben firmly believes the purest form of triathlon is at junior level. 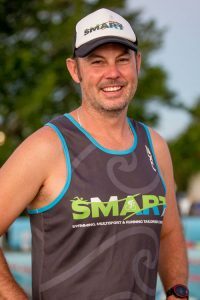 He has developed and implemented the SMART Coaching junior program to give bright, young, up and coming triathletes the skills they need to becomes the best triathlete they can be.